Status—The status of this deployment. 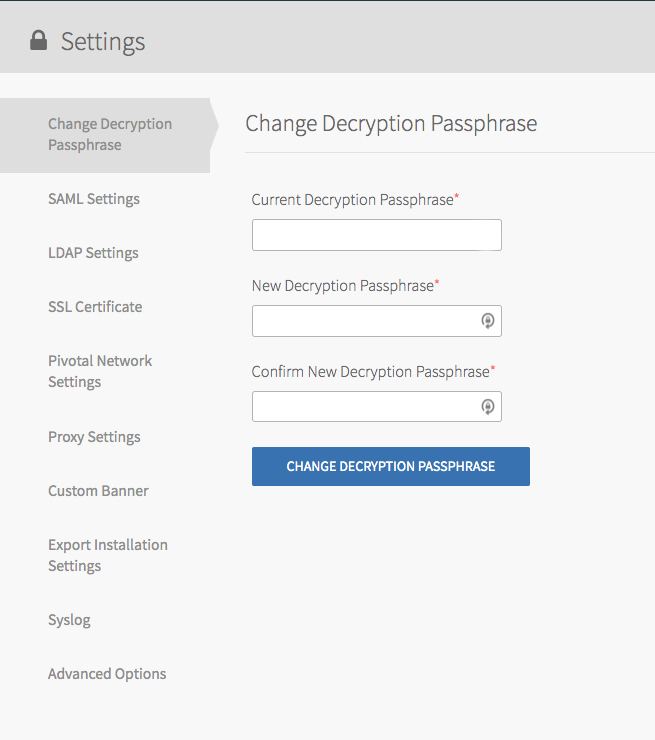 Use this pane to reset your decryption passphrase. 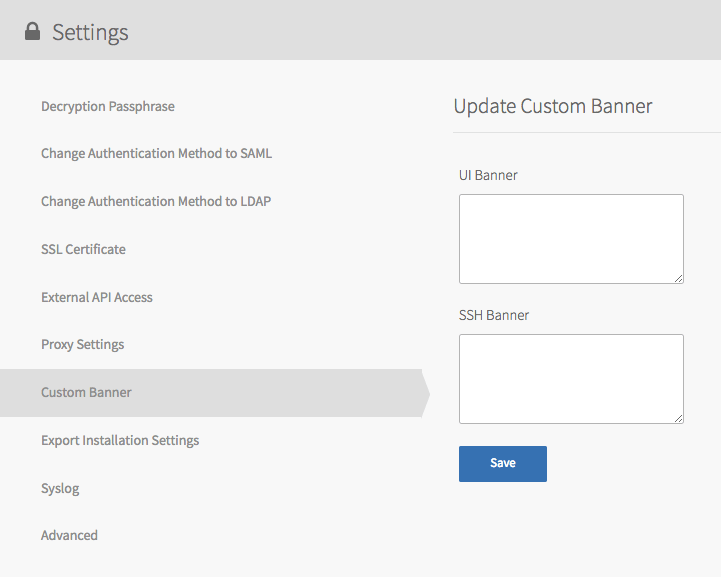 Use this pane to change your IdP to LDAP. 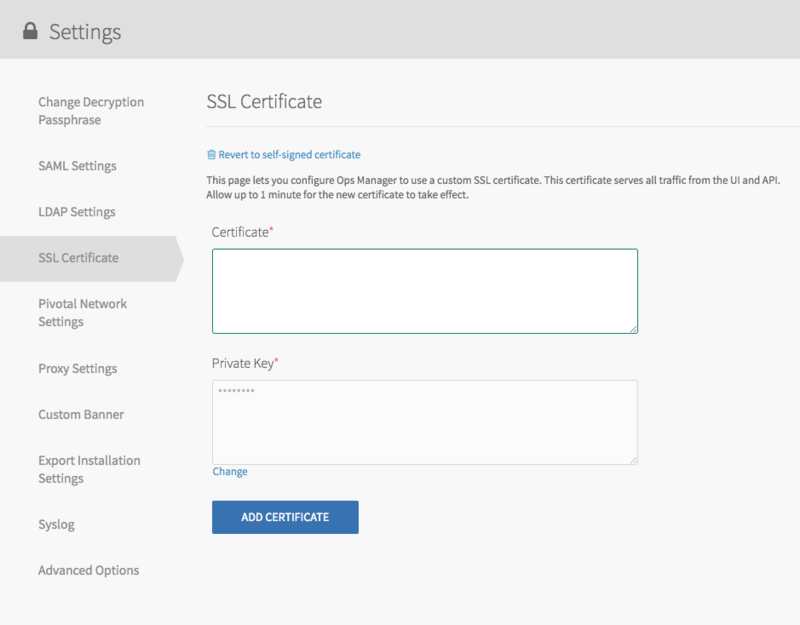 Configure Ops Manager to use a custom SSL certificate for all Ops Manager traffic both through the UI and API. 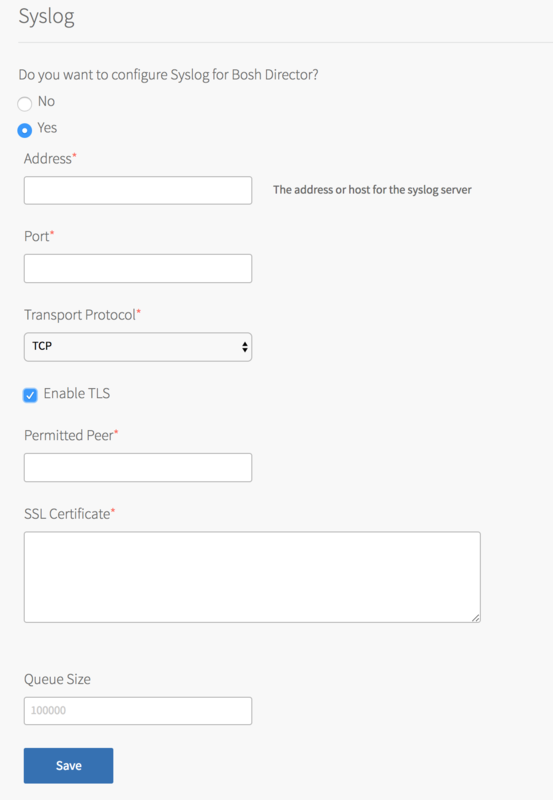 If you leave the fields blank, Ops Manager uses an auto-generated self-signed certificate rather than your own custom certificate and private key. 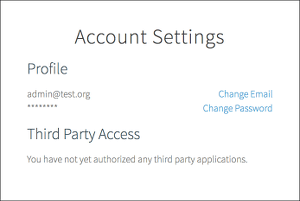 If you wish to replace a custom certificate with a self-signed certificate, select Revert to self-signed certificate. 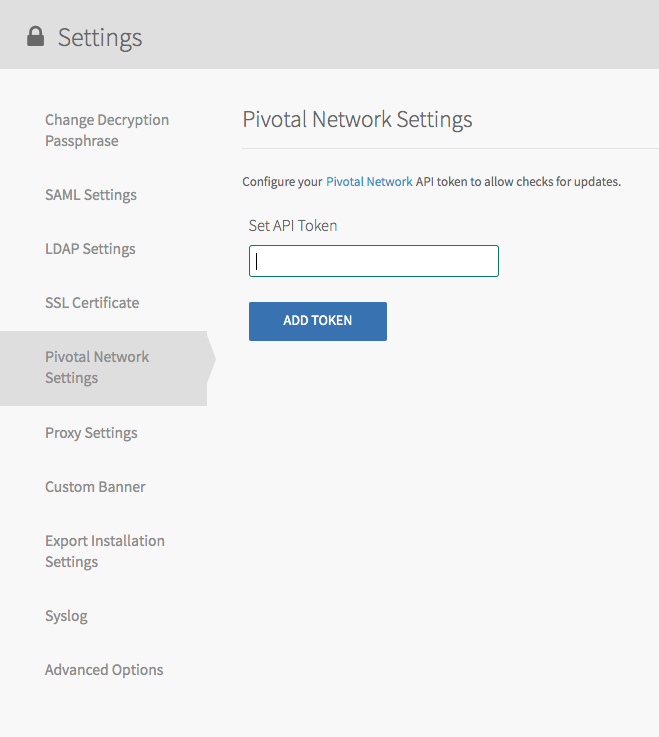 Enter your Pivotal Network API token and click Add Token to connect your Installation Dashboard to Pivotal Network. 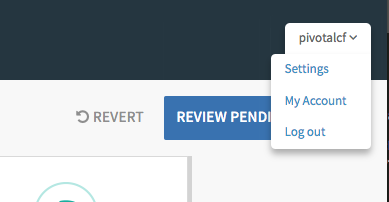 (Optional) Select the checkbox to Forward Debug Logs to an external source. This option is deselected by default. If you select it, you may generate a large amount of log data. 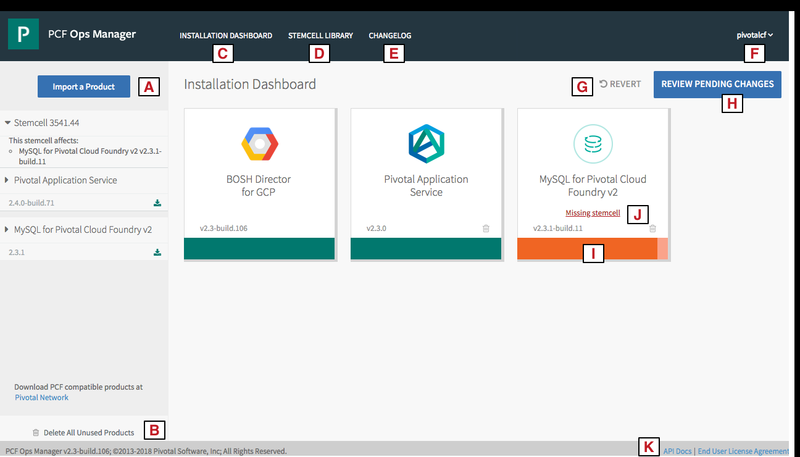 (Optional) Enter configuration details for rsyslog in the Custom rsyslog Configuration field. This field requires the rainerscript syntax. Delete This Installation: Deletes your Ops Manager installation permanently.